A game belonging to the popular tower defense genre. It's theme, however, is rather unusual, for the players' task is to protect their household against the attacking hordes of zombies. 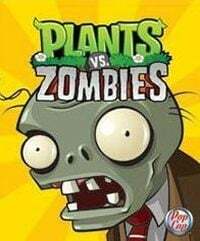 Plants vs Zombies for PC, X360 and etc. is a rather unconventional tower defence game, in which we protect our household from an attack of funny zombies. It was developed by PopCap Games, the creators of the arcade logic games, such as Peggle Deluxe or Bejeweled. Although the fans of tower defence genre have seen numerous titles set in various realities, Plants vs Zombies can surprise even them. In the game, we defend our home from a zombie attack by placing an army of lovely flowers and vegetables on the lawn. For every additional green sentinel, we have to pay with solar energy (suns) that gathers on the lawn or is produced by sunflowers. Apart from the basic adventure consisting of over a dozen missions, the developers prepared many other challenges. Each level consists of a several "lanes" that are used by the zombies. Our task is to secure every one of them. Should we let an enemy break in, we may yet save the day by a last ditch effort of switching on the lawnmowers. There are numerous types of plants at our disposal, offering several special effects, like production (sunflowers), general offence, slowing down, igniting, or blowing up, as well as passive objects, including stones, among other things, that let us stop the enemy for a short while. The undead horde also consists of over a dozen kinds of beasts armed with poles, pots, road cones, or even ice re-surfacers. Plants vs Zombies for PC, X360 and etc. is characterized by its high accessibility, as all of its ins and outs are gradually uncovered and explained to the players, and intuitiveness, so the controls should not cause any problems. Despite a somewhat grim theme, namely: the presence of zombies, the game has a very cheerful and happy tone. Nice visuals and joyful soundtrack are particularly worthy of note.